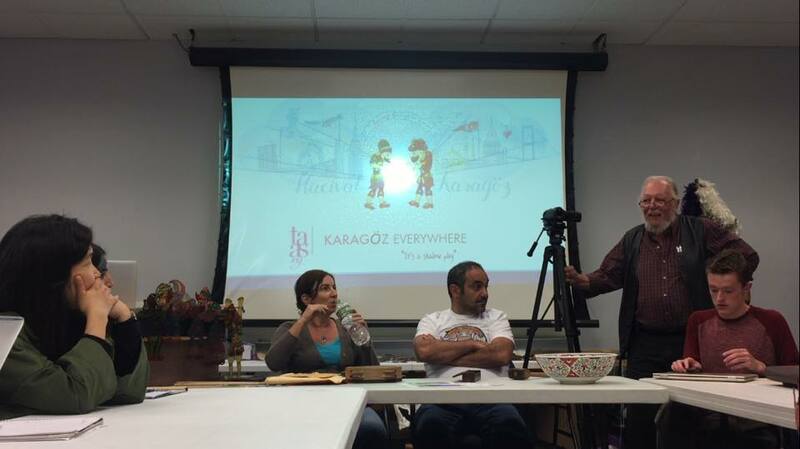 who came together to continue to expand the scope of Karagöz Shadow Theater through out the world. It has long been a mission of TAASNY (www.taasny.org) to expand the scope of Karagöz Shadow Theater, which is recognized by UNESCO as the intangible cultural heritage of humanity in 2009. 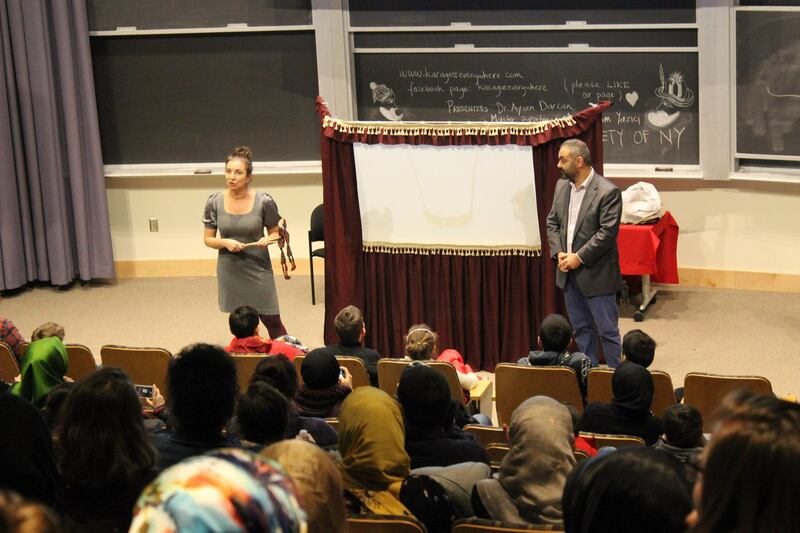 A group of Karagöz Shadow Theater lovers started "Karagöz Everywhere" project in 2016 with the idea of exposing the 700 year friendship of Karagöz and Hacivat to audiences around the world. 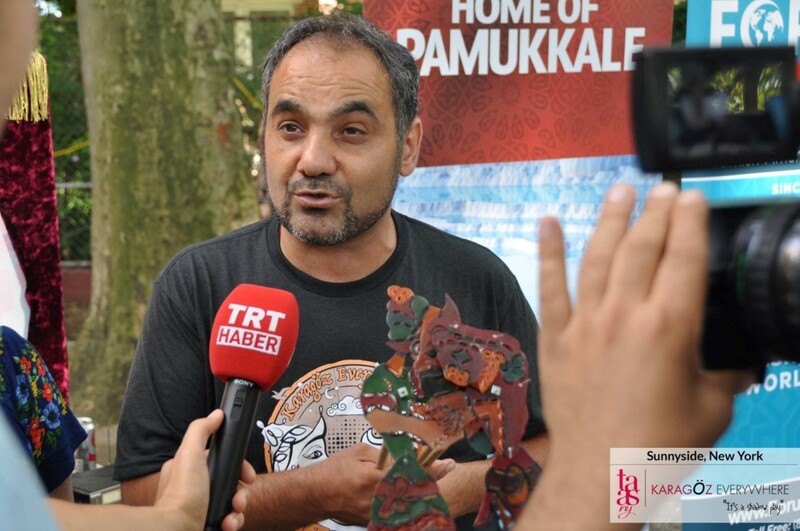 With this mission in mind, we have been collaborating with artists and cultural institutions who have been touched by and enchanted with the Karagöz characters. Shadow play which is also known as shadow puppetry is an ancient form of storytelling and entertainment which uses flat articulated cut-out figures (shadow puppets) which are held between a source of light and a translucent screen or scrim. The cut-out shapes of the puppets sometimes include translucent color or other types of detailing. Various effects can be achieved by moving both the puppets and the light source.